What are the differences between the Danalock V3 variants? Danalock V3 is available in four variations: HomeKit, Bluetooth, Bluetooth + Zigbee, and Bluetooth + Z-wave. Make sure that your Danalock V3 has the latest firmware installed before trying to connect it to your Danapad V3. Make sure that you are near your Danalock V3 and you phone has Bluetooth turned on. In the Danalock APP keychain navigate to the lock you want to upgrade firmware on. How do I manually upgrade my firmware for the Danalock V3? What is the Hold-back-Latch feature? By activating the Hold-back-Latch feature, the Danalock holds back the latch in your door. You can configure it to hold back the latch for up to 15 seconds. This feature must be activated if you don’t have a handle on the outside of your door. You activate the feature in the Danalock app. If you have a Danalock V3 Homekit version, you activate the feature by means of 4 clicks with a paperclip on top of the lock in the small hole. Choose between five and 15 seconds. Download click commands for Homekit here. What is the End-to-End Unlock feature? The End-to-End feature must be activated if you have a double cylinder door lock. You might have a double cylinder/asynchronous cylinder if you can operate your lock with a key on both sides of the door. The feature makes sure you don't loose calibration if you operate the lock manually with a key. You activate End-to-End unlock in the Danalock app. If you have a Danalock V3 Homekit version, you activate the feature by means of 6 clicks with a paperclip on top of the lock in the small hole. What is Twist Assist and why can’t I get it to work? The Twist Assist feature helps you engage the thumb turn. When you activate this feature, you only need to turn the Danalock a few degrees and the motor will take over, locking or unlocking the door for you. You activate Twist Assist in the Danalock app. If you have a Danalock V3 Homekit version, you activate the feature with click commands - view HomeKit Click commands here. Twist Assist will only activate if you have calibrated the lock. If you have changed batteries or updated the firmware make sure to re-calibrate the lock. Please note, if you have just used the Twist Assist feature on the Danalock, you need to wait a few seconds before you can use the feature again. Does the Danalock fit my door? The Danalock is made to fit standard doors worldwide. The three most common types of cylinders are oval lock cylinders, drop-shaped euro cylinders and deadbolt locks. If the thumb turn cannot be removed from your cylinder, it will have to be replaced with one that has a tailpiece (available for purchase with the Danalock). The Danalock will not fit on surface-mounted door locks or mortise cylinder locks. If you are unsure whether the Danalock will fit your door, download and print a template of the Danalock mounting plates. If the screw holes on one of them matches your door, the Danalock will fit. Please note: the template must be printed at 100% scale. For more information, feel free to contact your local Danalock reseller or our Support department. We're here to help. How do I install my Danalock? Your Danalock was engineered for easy installation. Depending on your door type, you will either have to attach a mounting plate to the door or replace your locking cylinder with one we provide. Your Danalock package will contain the necessary parts to install the Danalock in your region. Click to find video guides and installation manuals. 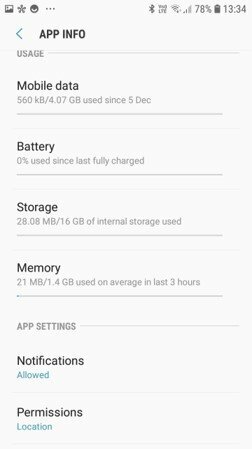 Is my phone compatible with the Danalock app? The Danalock app requires iOS 9.0 or later. The app is compatible with all iPads. The Danalock app is compatible with all recent Android phones and tablets: Marshmallow (6.0.1) Nougat (7.0), Oreo (8.0) and Pie (9.0). Lollipop may have some delays on the Bluetooth communication, but it is fully functional. If you buy a new smartphone, just download the Danalock app and log in with your existing user profile. How do I reset my Danalock V3? Go to your app and log in. Select “Device” and then “Delete Device”. Confirm deletion by selecting OK. When the lock is deleted from your phone, use the end of a paperclip to click the button in the small center hole on top of the Danalock 10 times. A red light on the lock will indicate the reset command. Wait five seconds to confirm the command. The Danalock will now reset to factory settings. To invite a new guest to use your lock, navigate to the lock you want the guest to have access to and select “Lock users”. Select “Invite guest” and choose what kind of access you want your guest to have. There are two types of guest access: permanent and temporary. Finally, choose the mode for inviting your guest. If your guest is already a Danalock user, you can invite them directly in the Danalock app by selecting the Danalock icon at the bottom left. Select the SMS icon to send the invitation by SMS. Select "Share" at the bottom right to see additional invitation options. Your options will depend on which apps you have installed on your device. Once you have made your selection, the invitation is sent automatically. If your guest is already a Danalock user and was invited directly through the app, the guest will automatically get access to your lock. If you used one of the other invitation options, your guest will receive a link prompting them to either log in with an existing account or to register a new one. 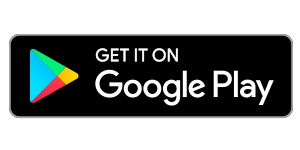 If your guest does not have the Danalock app, they can follow the links in the bottom of the invitation or search “Danalock” in Google Play or App Store. When your guest has accepted your invitation, you will be able to see their username by selecting “Lock users” in the Danalock app. How do I set up and use Auto Unlock? The Auto Unlock feature uses GPS to detect your arrival and automatically unlocks the door for you. The Danalock has a 300-meter to 2000-meter radius zone for auto unlocking, which you set while installing and configuring your Danalock app. When you are 40 to 50 meters from your Danalock, your smart phone will send periodic commands to unlock the door. 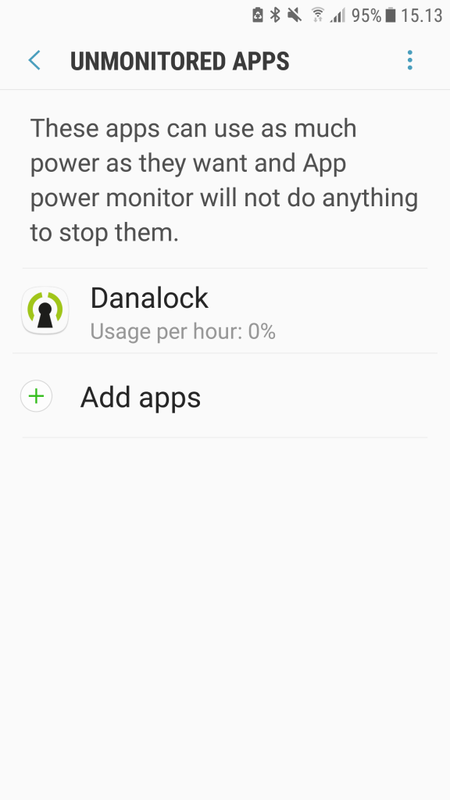 If the app is unable to reach your Danalock within four minutes, the Auto Unlock command will time-out. Once the Danalock app has unlocked your door, it will not unlock it again until you have left and reentered the Auto Unlock Zone. This is to avoid accidental unlocking while you are home. Please note: For the Danalock V3 Homekit version, only Apple's automation features are available. Read our comparison of versions at the bottom of the page. Ensure that GPS functionality on your phone is turned on and that you are within range of your Danalock. In the Danalock app, navigate to the lock you want to unlock automatically and select “Device”. Choose the Auto Unlock option, slide to activate. Once the GPS has located your position, select "Save". The purple area on the map is your Auto Unlock Zone. 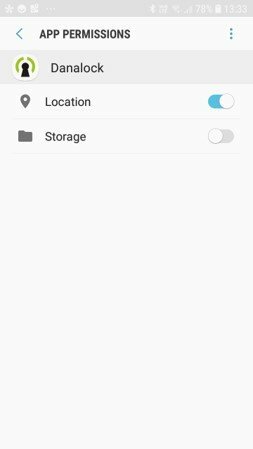 You can adjust geofence radius and activate or deactivate notifications for enter/exit Auto Unlock Zone.  When you leave this zone and enter it again, the Danalock app will search for your Danalock and unlock it. If your Danalock doesn’t unlock when you enter the Auto Unlock Zone, please check the following. In the Danalock app, ensure that Auto Unlock functionality is turned on and that the Auto Unlock Zone is correctly located. 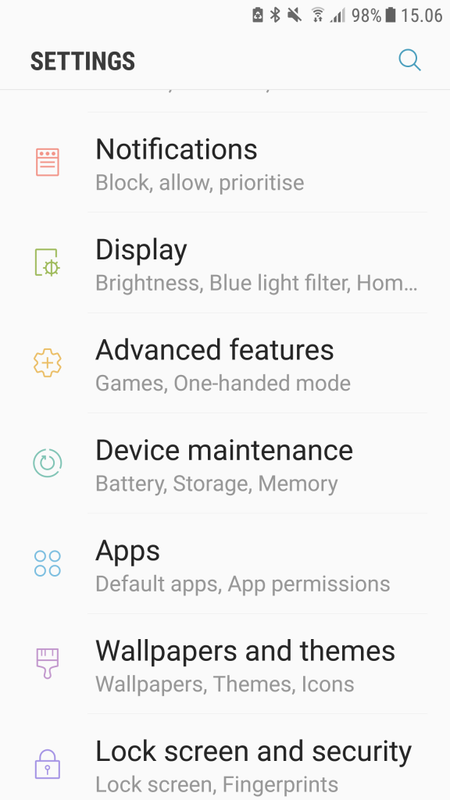 Android devices: Go to the Settings menu and open the Application Manager. In the list, scroll down to and select the Danalock app. In the Permissions tab, ensure that Location is enabled. In the notifications tab, make sure that Allow Notifications is turned on. iOS devices: Go to Settings, scroll down to and select the Danalock app to bring up Permissions. Ensure that Location is set to "Always” and that all notifications are allowed. If Auto Unlock still doesn’t function, please be aware that poor location reception may affect the reliability of geofence functionalities. In some cases, turning on WI-FI will improve location accuracy and strengthen the reliability of the Auto Unlock function. 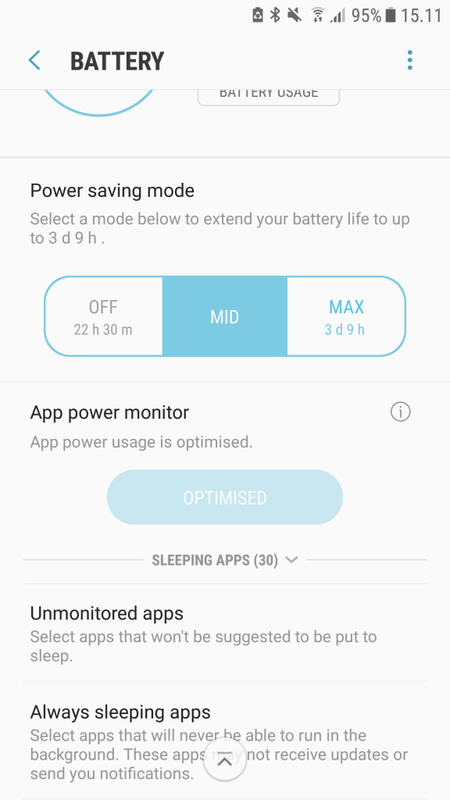 The settings of Android smart phones vary a bit from brand to brand. 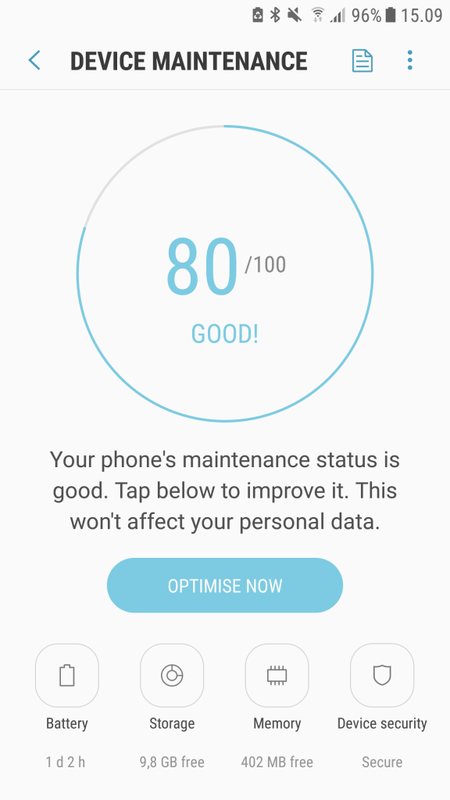 Check if your Android smart phone settings is set up correctly. Go to Settings on your Android smart phone. 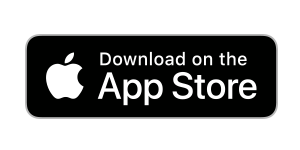 Choose Apps and find the Danalock app. Go to App settings > App permissions. Press Device maintenance > Battery. Press Unmonitored apps and add Danalock to the list. How do I connect my Danalock to a Z-wave gateway and still secure Bluetooth communication? Go to your Danalock app, select “Device”, then “Z-Wave” then “Connect”. Remember to set your gateway to Inclusion mode. The lock should be no more than ½-1 meters from the gateway. Inclusion will begin. It may take some time, so please be patient. Please refer to "Click Functions" on the last page of the Danalock manual. Note: Be aware if your Danalock is connected to gateway first, your lock can’t be installed in Danalock app. If you want both possible way for executing commands, lock must be installed in Danalock app first (via Bluetooth) and then gateway (Z-Wave). This procedure will generate new access codes and revoke access to anyone but yourself. Reset your password by going to the login screen in the Danalock app. Select “Forgot password” and follow the instructions. You can also login at my.danalock.com and select “View profile” in the roll-down menu at the top right corner. Scroll down to the first green-edged box with your username. Enter and confirm your password as directed and select “Save”. Your new password is now saved, and you will be logged out of the my.danalock.com site. If you are using IFTTT, changing your password will also affect this connection. What do I do if my Danalock V3 indicates that it already has an owner? Please contact Support with the following information: Your username, proof of purchase and the Danalock MAC number (The MAC number can be found inside the battery cover). Our Support Team will confirm your ownership and reset the lock. Which smart home systems are compatible with Danalock V3? 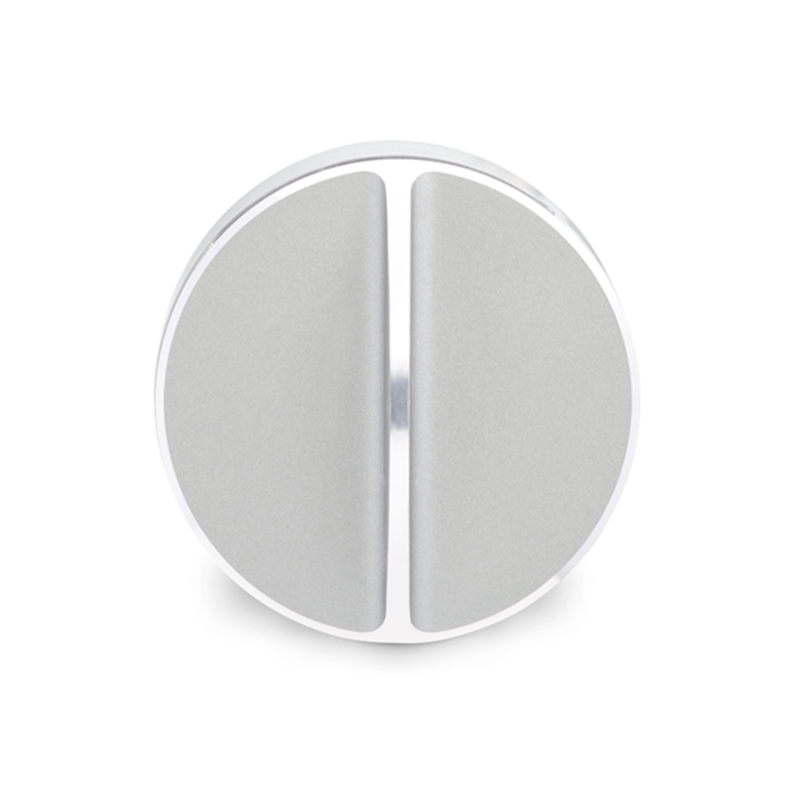 The Danalock V3 is compatible with Z-Wave and Zigbee protocols as well as Apple HomeKit. The Z-Wave and Zigbee versions are compatible with all the smart home hubs that support protocols such as the SmartThings Hub, The Wink Hub, Vera, Fibaro Home Center, Zipato, etc. Please note that your gateway must support secure classes for Z-Wave (Z-Wave Plus) and it must support door locks. Having doubts? Contact Support to ensure that you have the right lock for your smart home system. You can use OpenHAB with Danalock Zigbee and Z-Wave versions. You will need to pair OpenHAB with your smart hub and control the Danalock through the hub. The Danalock is compatible with the IFTTT (If This Then That) service. This means that you can use your Danalock to trigger actions in other applications, or program almost any action to trigger your lock. To use IFTTT with your Danalock, connect your lock to the internet using the Danabridge V3. Ensure that the account used with the Danabridge V3 has access to your Danalock. After connecting the Danabridge V3 to the internet, open IFTTT and connect to Danabridge with your user information. The Danalock is compatible with Amazon Echo. You can connect Amazon Alexa with the Danalock via a gateway or by using IFTTT to link them. The Danalock app supports Airbnb, allowing you to connect your Danalock to your rental accommodations without having to manage physical keys. Just connect the Danalock app with your Airbnb account and then associate your listing with the correct lock. Find the Danalock V2 FAQ here.